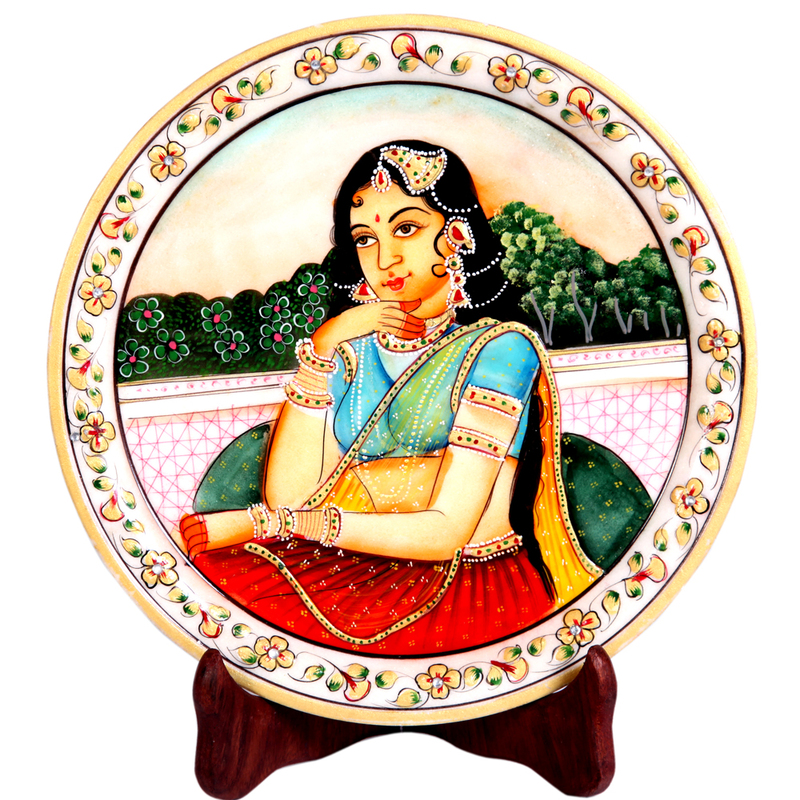 The Decorative Marble Plate with Rajasthani Bani Thani Figure can be the perfect choice for the lovers of traditional artwork, with the delightful Rajasthani Bani Read More..Thani figure at the center making the cynosure of all eyes. The lush colors used for the painting provides stark contrast to the pristine backdrop of the marble body. Moreover, the intricate design works present in the form of the floral patterns along the border region makes this decorative marble plate a piece to behold and appreciate. Show Less..